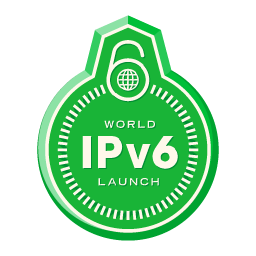 With the World IPv6 launch yesterday, there has been a lot of attention and a lot of activity on the process of getting sites IPv6 ready and enabled. As of 10am PST, this site has an IPv6 address, and depending on if your DNS server has updated yet, you can view the site entirely over IPv6. Not showing up for you? Check to see if the AAAA record has propagated yet. In other news, I’ve ordered an SSL Secure Certificate for this site from Comodo. Within the next few days, you should automatically get redirected to “https://darkpi.com” when you access this site. I have read some information about the security or lack therof for IPv6. If anyone has some familiarity with this topic, I would welcome any and all comments.